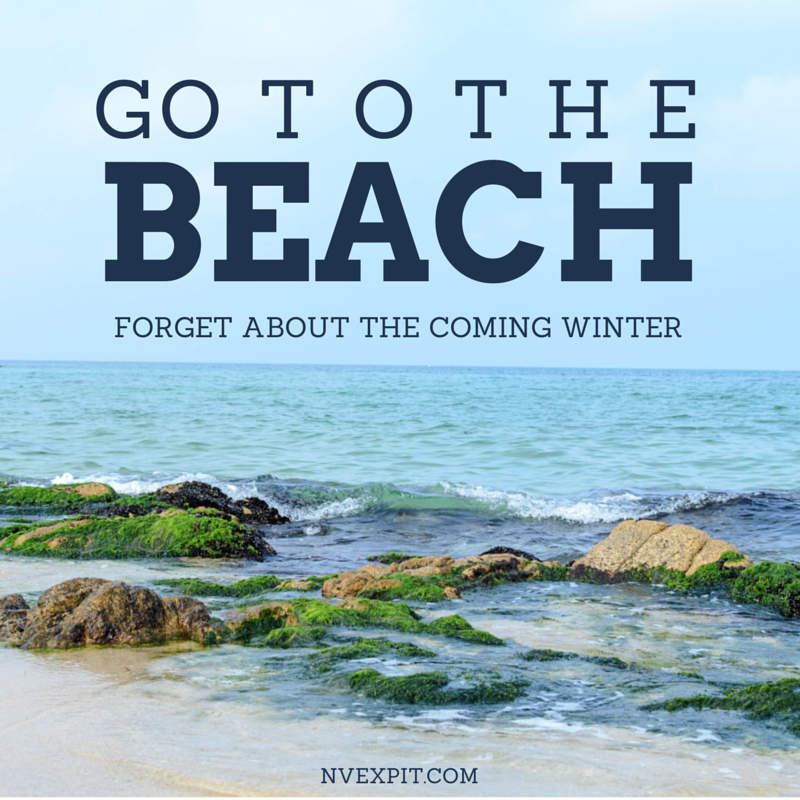 Beach Time - Forget about Winter - Experience It! It's the end of October and the temperature has fallen quite low in recent days. I felt it necessary to give some form of nostalgia or motivation, depending in what hemisphere you are. For us here in the Northern Hemisphere, it's just the start of a long and cold winter. For those in the Southern side of life, you just started your summer days an will get ready for your Christmas vacation at the beach or next to the pool. 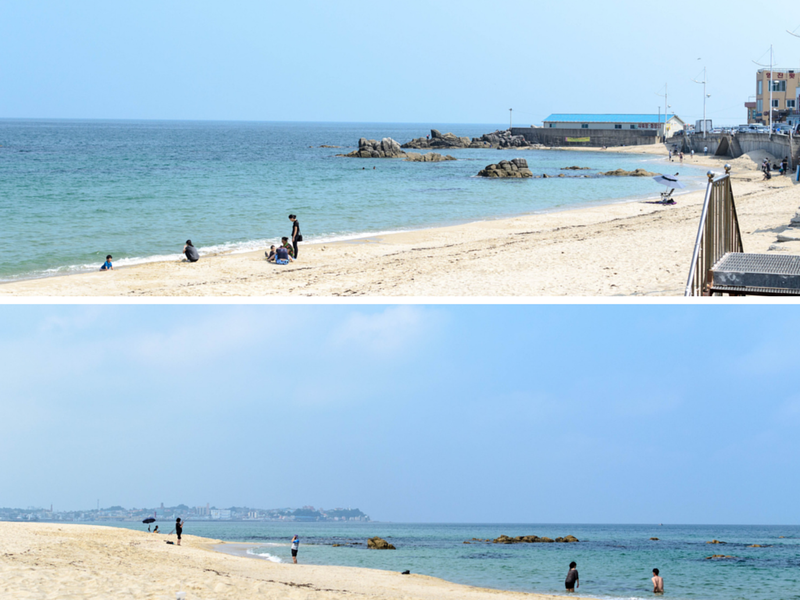 The beach in the photos is YoungJin Beach(영진 해변)in South Korea. 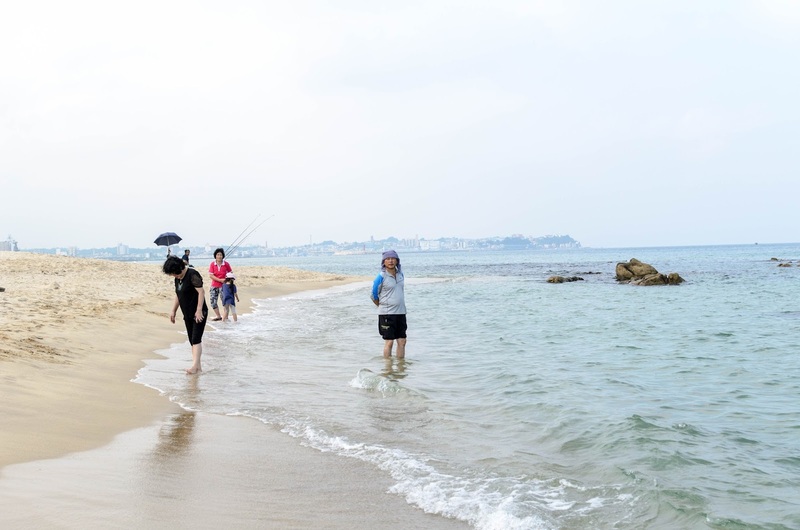 The east coast of Korea is well known for it's nice beaches and although this is just a small beach, it's clear to see what people were talking about. 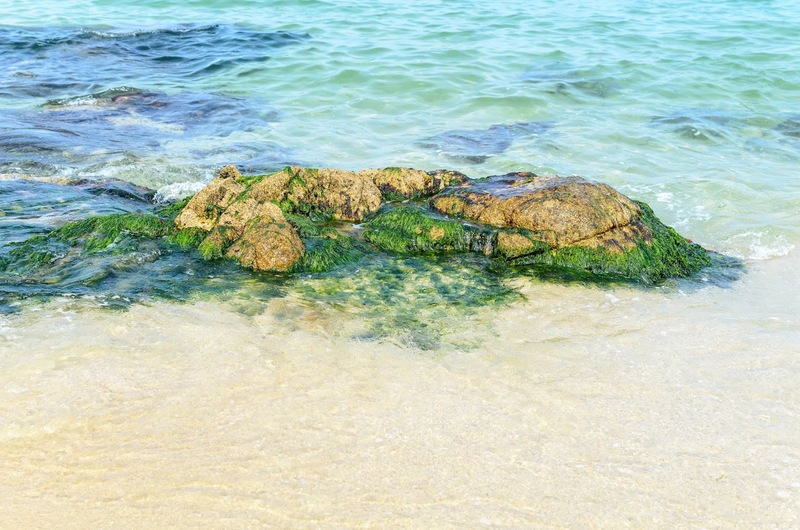 The nice clear and temperate water, makes you want to jump in the water, no matter the weather or time of year. 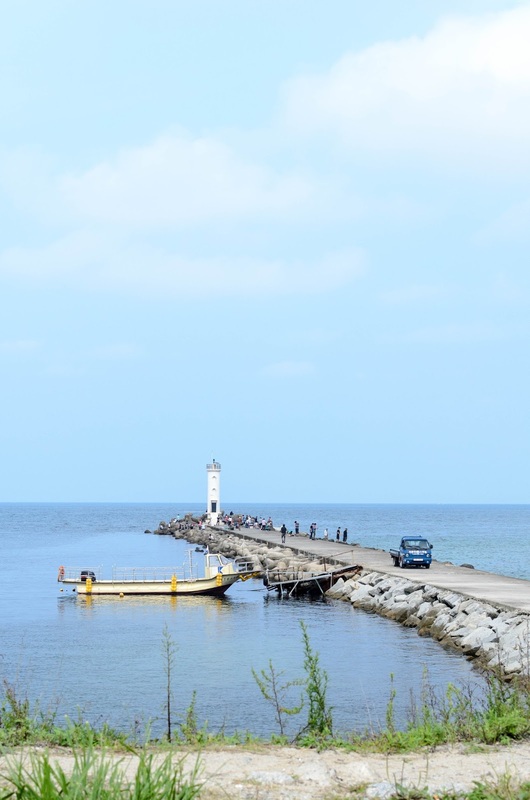 I visited this beach in September (part of my trip to Sokcho 속초), and although it was still a nice time for swimming, you could barely see people taking a dip. This is because, from what I've seen in Korea, Koreans tend to be extremely seasonal people. They literally don't get in the water before or after a certain date. It doesn't matter if it's a hot sunny day or not. Even the public swimming pools are mostly empty before or after these dates. Don't ask me how they decide the dates or what they are, because I always seem to miss it. 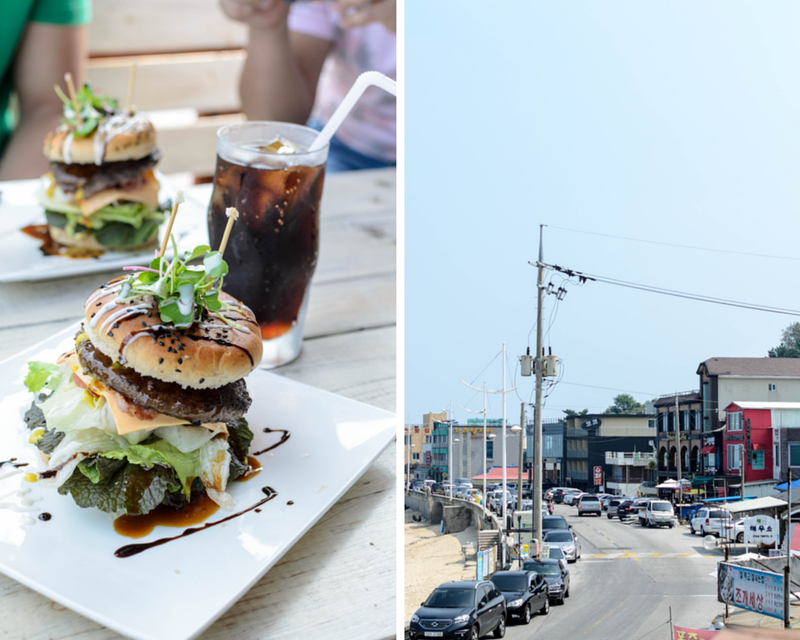 Nonetheless, it didn't stop us from having a great day on the beach and having some nice burgers at a restaurant with a great view, while taking in a fresh breath of sea air. I hope you liked this post. For us in the North, hold on to the heat as long as you can and you in the South, have fun in the sun. Keep a lookout for my next post for more about my trip to Sokcho and Seorak Mountain (설악산).